The main purpose of this paper is to analyze the actual process of resolving intellectual property right disputes among nations. International regimes such as WTO and WIPO are built to play a significant role in solving intellectual property right problems between countries. However, there exist limitations of international regimes in resolving the international intellectual property right disputes, since the interests of various international actors from individuals to MNCs are deeply engaged within each disputes. For instance, most of the international norms and rules that are included in the regimes are constructed by advanced countries as United States regarding mostly their own benefits, making dissatisfactions underdeveloped countries. Thus this research focus on the interest and power relations among actors that influence the resolving process of international intellectual property right disputes more than the role of international regimes. 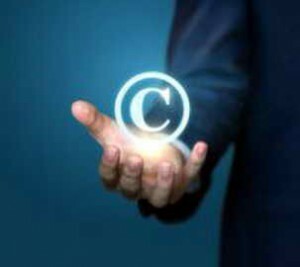 This paper will first discuss the main factors that cause intellectual property right disputes among nations. In “Intellectual Property Rights” Christopher May and Susan Sell claimed that the main cause of the disputes are the different perspectives on intellectual property rights between the countries. Many developed countries emphasize the importance of individual rights for any properties; on the other hand, developing countries consider intellectual property as significance of public goods which can develop economic conditions of many undeveloped countries. May and Sell proposed the role of international regimes in solving this dispute. Robert Keohane also emphasized the importance of international regimes in solving problems among countries. However, in reality, international regimes have several limitations in resolving disputes related to intellectual property rights. Robert Gilpin and Susan Strange claimed the limitations of international regimes since the regimes cannot exclude power relations among nation actors. Susan Strange insisted that most of the core international regimes are operated on the side of United States’ interests. Focusing more on the limits of international regimes, this paper provide evidences of failure of regimes in solving international property right disputes. Exhibiting the cases of disputes among developed country and developing country such as United States and China or United States and Korea, it can display the actual process of resolving international intellectual property right disputes which show the limitations of WTO and WIPO. In conclusion, focusing on limitations of international regimes, this research elaborate the actual process of solving international intellectual property right disputes, especially between developed and developing nations. Regimes can provide guidelines in resolving conflicts among countries; however, it will important to guarantee the fairness of regime rules. This entry was posted in Ethical, Social and tagged Disputes, intellectual, Property Rights on 07/02/2018 by Mary.